Strawberries are in season, so it’s time to whip up some fresh and tasty summer dishes with healthy strawberry recipes. First up is a Strawberry Balsamic Chicken that is a fresh take on Italian Caprese flavors. These Whole Wheat Strawberry Banana Protein Muffins are a sweet breakfast without added sugar. 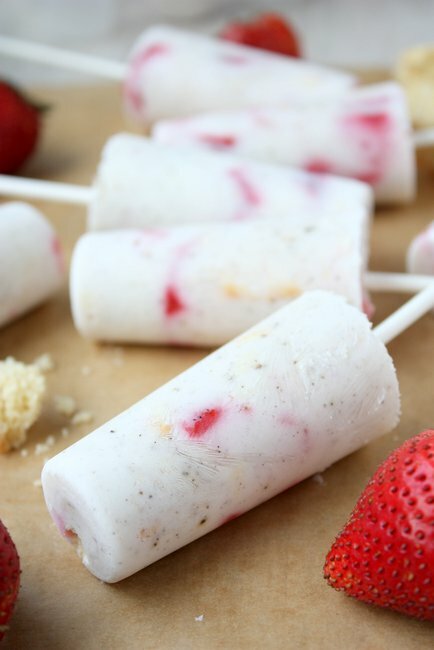 Strawberry Shortcake Greek Yogurt Popsicles are a light and refreshing version of the summer classic. Looking for a way to use up those fresh berries before they go bad? Try this Simple Strawberry Chia Refrigerator Jam. This Strawberry, Chicken, Bacon, and Spinach Wrap is the perfect summer lunch any day of the week. Peach, Nectarine, and Strawberry Fruit Salad is a delicious dish for any summer potluck. These Strawberry Chocolate Chip Muffins taste like dessert, but are only 140 calories each!